We are a private country club that is committed to quality golf and continuous improvement while providing members an extensive recreational and social experience in a friendly and comfortable environment. 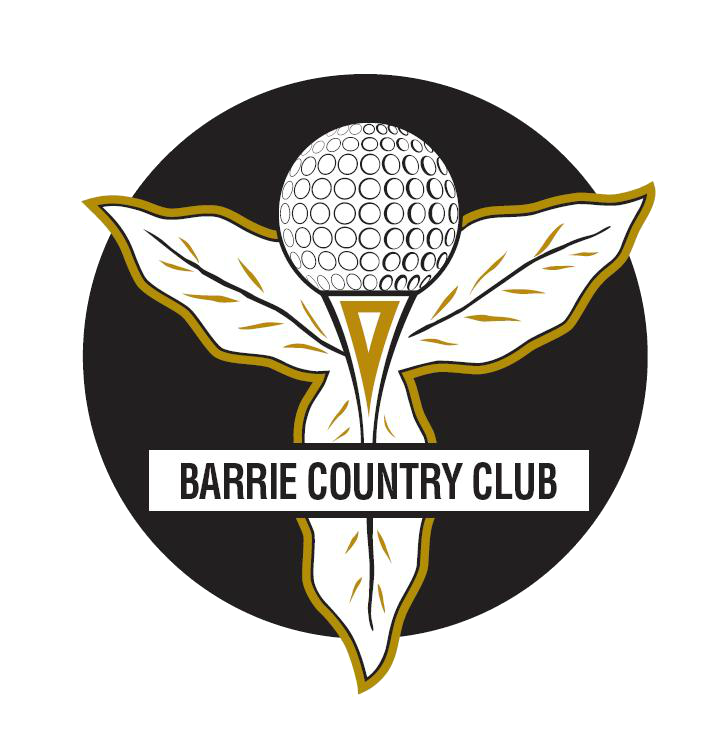 The Barrie Country Club is the oldest and most established private golf club in the area, and an important part of the social fabric in Barrie. In 2013 we proudly celebrated our 100th year! The Club originated as a nine-hole layout on the grounds now known as Sunnidale Park. In the late 1960's, the club purchased 200 acres of land in Vespra Township (now Springwater) and in 1970 the Barrie Country Club officially moved to its current home on the north-eastern edge of Barrie. The course is a fair and excellent test of golf and can be played day after day without fear of boredom. Access to the tee is excellent and a four hour and ten minute pace of play ensures a lively pace. Playable from 5,252 yards to 7,004 yards with five sets of tee blocks, with course ratings up to 74.1 and slope ratings to 134. In addition to the championship golf course, the club features excellent practice facilities and a winter golf academy. The beautiful full-service Clubhouse enjoys spectacular sweeping views of the golf course complete with all the amenities expected at a private club. Meeting and banquet facilities are available to members and non-members. The fully equipped, PGA staffed Pro Shop features all the latest in golf equipment and outerwear. The Barrie Country Club is a private, member only club that has been welcoming families and golf enthusiasts for over 100 years. In accordance with the Accessibility for Ontarians with Disabilities Act (AODA), 2005, Accessibility Standard for Customer Service, the Barrie Country Club is dedicated to ensuring that our services are accessible and offer the same opportunity and benefit to all Members and Guests. We are also committed to ensuring that our services are provided in a manner that respects the dignity and independence of people with disabilities.